Don’t expect a breakthrough when Donald Trump and Xi Jinping meet at the industrial nations’ summit. The 40-year anniversary of Deng Xiaoping’s market reforms on Dec. 18 offers a better opportunity for China to move past empty promises and becalm the intemperate U.S. president. U.S. President Donald Trump and China's President Xi Jinping shake hands after making joint statements at the Great Hall of the People in Beijing, China, November 9, 2017. Damir Sagolj: "It's one of those "how to make a better or at least different shot when two presidents shake hands several times a day, several days in row". If I'm not mistaken in calculation, presidents Xi Jinping of China and Donald Trump of the U.S. shook their hands at least six times in events I covered during Trump's recent visit to China. I would imagine there were some more handshakes I haven't seen but other photographers did. And they all look similar - two big men, smiling and heartily greeting each other until everyone gets their shot. But then there is always something that can make it special - in this case the background made of U.S. and Chinese flags. They shook hands twice in front of it, and the first time it didn't work for me. The second time I positioned myself lower and centrally, and used the longest lens I have to capture only hands reaching for a handshake." China delivered a written response to U.S. trade reform demands ahead of a planned meeting between U.S. President Donald Trump and Chinese President Xi Jinping, Reuters reported on Nov. 14. But it largely reiterated previous commitments made by China. The two leaders are scheduled to meet at the G20 gathering in Argentina, which is taking place Nov. 30 to Dec. 1. 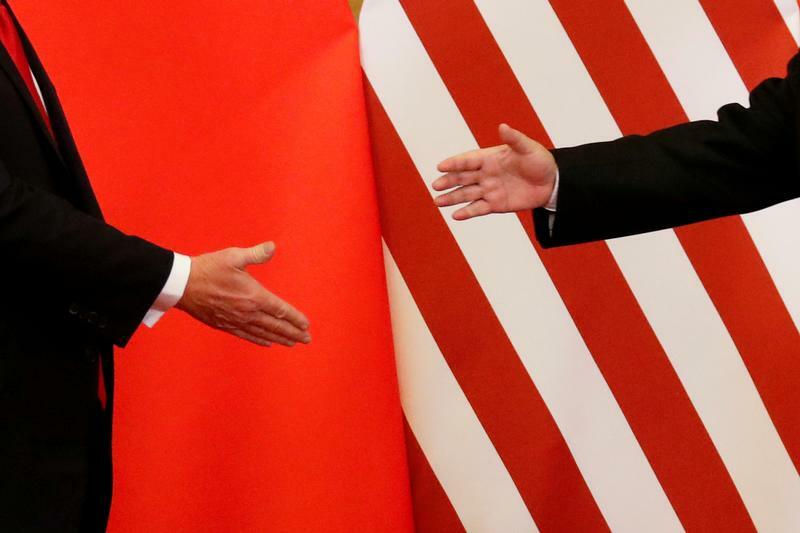 The U.S. government has already imposed tariffs on about half of all Chinese imports, while Beijing has announced levies on about 85 percent of U.S. goods.